2018 Ford Focus For Sale In Vernon, Kelowna, Okanagan, BC. 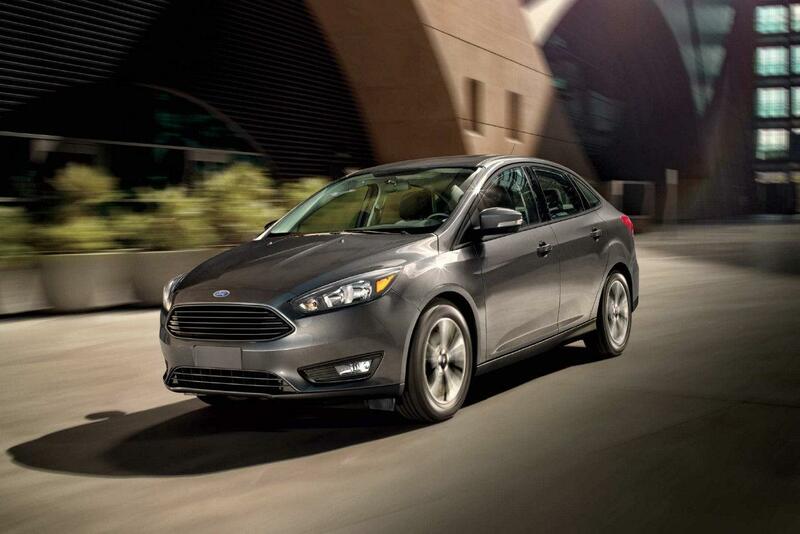 Expressing a devotion to intelligent design, the 2018 Ford Focus emerges as an innovative upgrade on a remarkable legacy. Featuring a four-or five-door exterior with seating for up to five individuals, this vehicle brings simplicity and functionality to your everyday life. Available trim levels include the S, SE, SEL, Titanium, ST, and the RS. 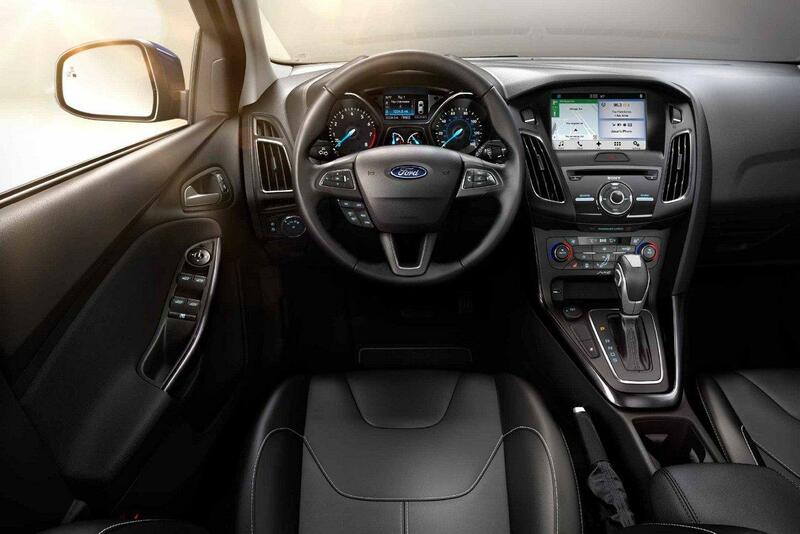 Streamlined details surround you in the 2018 Ford Focus as you drive at the center of an ergonomic layout that places everything perfectly within reach. Ambient lighting welcomes you for an increase in elegance while you sit back on the available leather-trimmed front bucket seats with available heated front seats to help combat cold Canadian winters. Furthering this comfort is the optional leather-wrapped and heated steering wheel, where refined surfaces remind you of the luxury at hand. Keep everyone satisfied with help from the available Dual-Zone Electronic Automatic Temperature Control as you set and maintain two different front temperatures at the same time. Enjoy access to your cargo space when and how you need it with the 60/40 fold-down rear seats. A striking frame with smooth aerodynamic enhancements is presented with the exterior of the 2018 Ford Focus. Features such as Active Grille Shutters work to enhance efficiency as they adjust to meet the needs of the moment. Sporty details such as the rear spoiler and available black grille with chrome trim elevate the design with an edgy touch. Brighten up the way with help from the optional automatic quad-beam halogen headlights, LED signature lighting and LED taillights for widespread visibility while a power moonroof brings you fresh air and natural light. Advanced technology has been embedded into the 2018 Ford Focus to help you drive with elevated confidence as you connect to the outside world. Through the available SYNC 3 infotainment system, you are given access to Bluetooth technology and enhanced voice recognition so that you can answer phone calls, send off messages and stream music through your smartphone without the use of your hands. You are also given an advantage when it comes to navigation as the focus comes with an optional voice-activated touchscreen navigation system. Make your 2018 Ford Focus a reflection of your individuality as you enhance it through a series of Genuine Ford Parts and Accessories. With a remarkable selection of options, Ford enables you to equip your ride to meet the demands of your lifestyle. Include optional all-weather floor mats to help keep your interior fresh and clean or enhance organization with a cargo organizer. With the addition of a graphics kit, you can enhance your exterior design to your liking. When it comes to power, the 2018 Ford Focus takes your expectations and goes above and beyond to deliver is both performance and efficiency. You are given four powertrains to choose from as you match engineering with your potential. Features such as Torque Vectoring Control work to ensure better control in slippery conditions while the Electric Power-assisted Steering feature delivers astonishing driving dynamics. Responsiveness is enhanced with the available 5-speed manual transmission or 6-speed PowerShift automatic transmission, where you are given the opportunity for enriched handling. 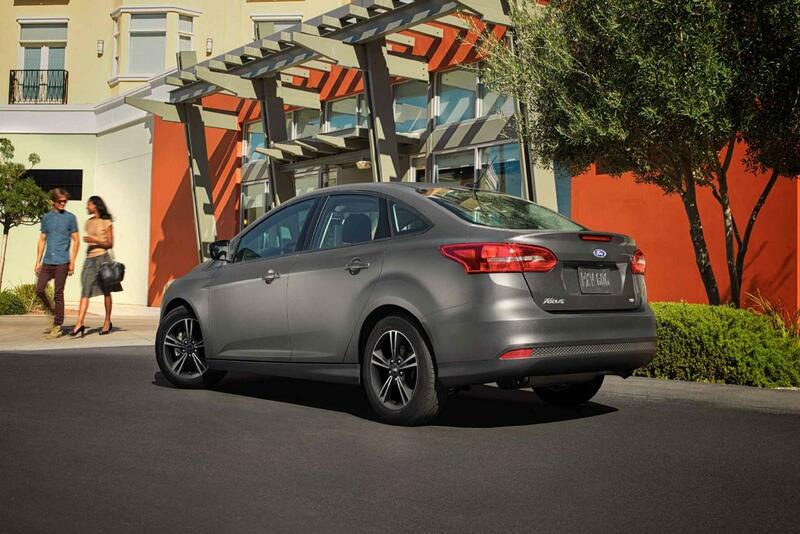 Experience the freedom of intelligent design with the impressive and agile 2018 Ford Focus. Through a modern approach to comfort and a wide selection of customizable features, this vehicle offers an opportunity for more. Explore the 2018 Ford Focus at your local Vernon Ford Dealer – Watkin Motors Ford. With a wide selection of new and used vehicles, Watkin Motors Ford is here to help you find the perfect choice!